Touch it to your tongue, lick it. You can take to Oreillys and have them do 1 hour load test. 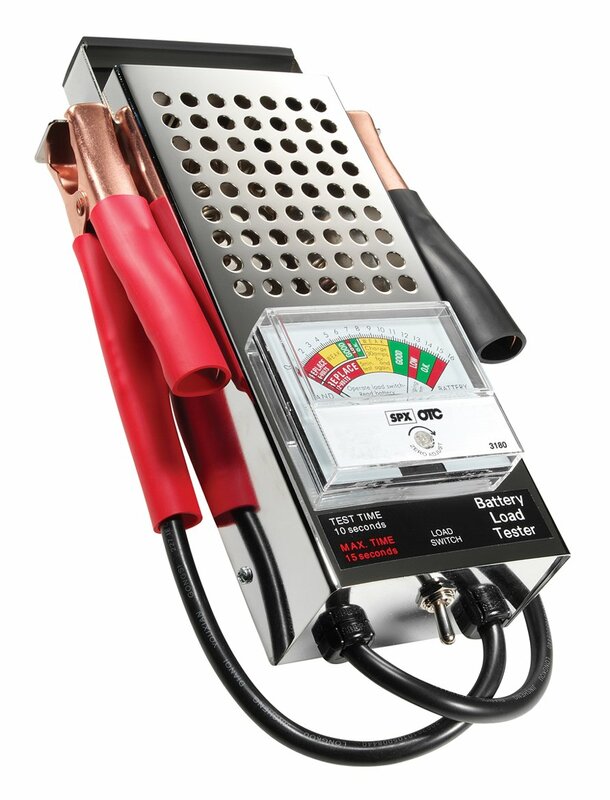 To properly test a battery you really need a carbon pile type of load tester where you can crank up say a 400 amp load and watch the voltage. A good healthy battery will pull down but when the load is removed return to near its full voltage over and over again. A weak battery will fall off to less than 9.5 volts very quickly and not recover. Cheap electronic battery testers will not do this. Discharge at the 10 hour rate and calculate capacity. This info. is to old its from 1859, My battery is newer Oldhead..PS:Are you that old? The Midtronics style of tester is used by most shops these days. Many auto parts stores will test your battery with one for free. I’ve used one for over ten years now. O'Rielly's uses the AutoMeter battery tester and charger now. Absolutely the very best battery tester is an old Sun VAT-28 carbon pile load tester. With all the batts on our farm I bought a Solar BA-5 tester a few years back that will check volts CCAs and such. Best piece of test equip I ever bought. Plug. Or for 50 dollars or less you could try this. OTC 3180. is an old school tester that monitors voltage while asking it to discharge at about 100 Amp rate into a big old resistor. Makes some heat ( 1200 watts) so the test should only be run for 10-15 seconds. The old Carbon pile is likely better, but it it will bring a marginal battery, or under charged battery to it's knees. They have got pretty cheap recently.